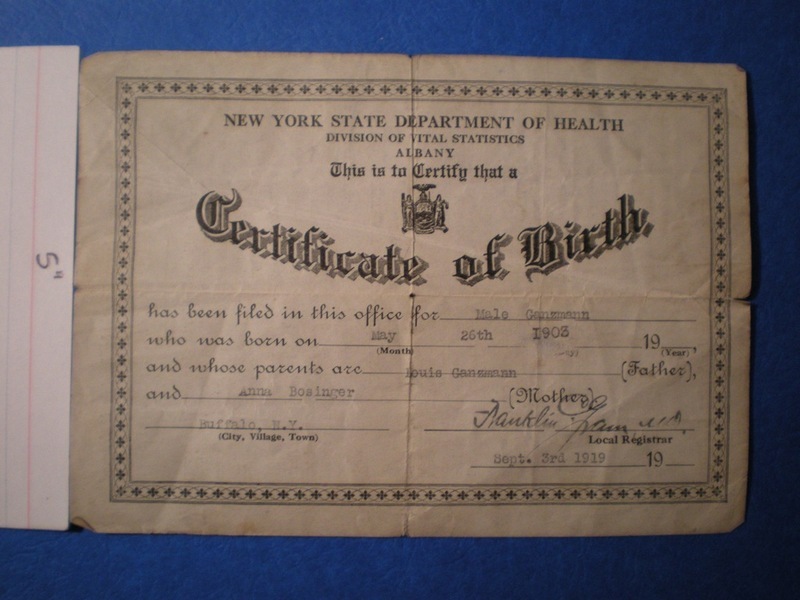 This birth certificate for the unnamed-at-birth child of Louis Ganzmann and Anna Bosinger Ganzmann of Buffalo, New York, was issued in 1919 for a birth that took place in 1903. Because this particular copy was issued around their son's 16th birthday, it seems likely that it was used for acquiring a work permit under the relatively new child labor laws. The more interesting part of this document is its reverse side, which declares that it is an "Important Notice to Parents" and urges them to "carefully preserve this certificate by having it framed." The rest of the text gives a sense of how novel birth certificates may have been for some American parents in the 1910s. Purchased from a private seller. 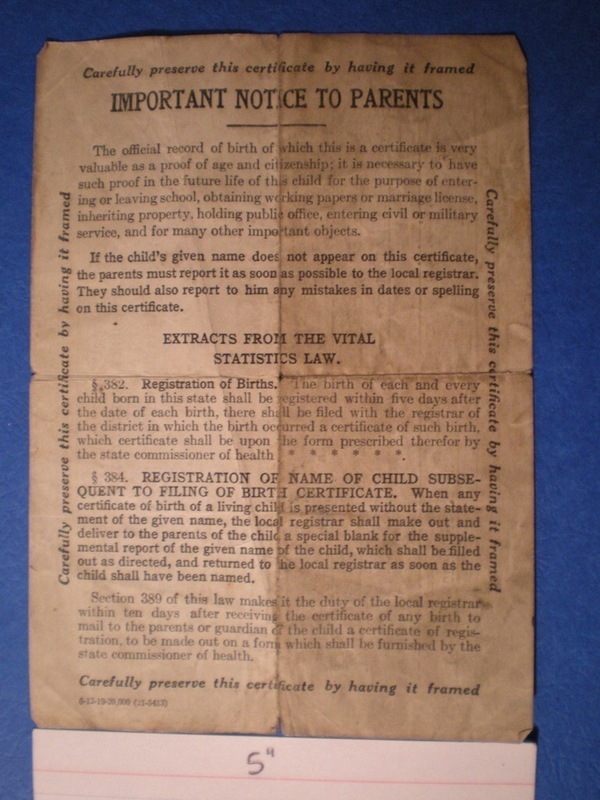 "New York State birth certificate with message to parents, 1903/1919," in cliotropic research, Item #159, http://cliotropic.org/sources/items/show/159 (accessed April 21, 2019).